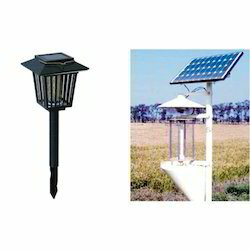 Offering you a complete choice of products which include solar pump, solar charge controller, solar camping lantern, solar fly killer, solar panels and solar insect killer. Our organization offers its clients with an expansive range of Solar Pump that are used mostly in the irrigation sector, agriculture and other domestic, as well as industrial applications. 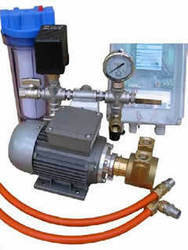 These pumps are designed in well-facilitated manufacturing units as per the exact requirements and specifications of the client. We Manufacture a wide range of Solar Charge Controllers for solar home lighting systems, street light systems and for various solar PV applications. Charge controllers, which protects battery from over charging and for excessive discharge are the essential components of solar PV systems. Jadhav Powertech introduces professional solar charge controllers using the most innovative and state of the art charge controllers, which protects battery from over charging and/or excessive discharge. 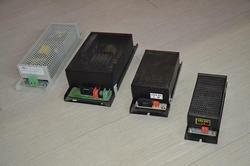 Against module reverse current flow, reverse battery and overflow, short circuit, under and over voltage. 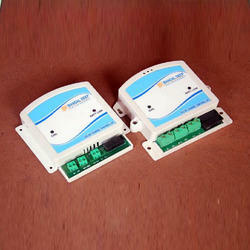 Overcharge, deep discharge, reverse polarity and lighting protections are incorporated in the electronic control card. Self consumption less than 5 mA. Offers long life of batteries. Compact in size and easy to install. 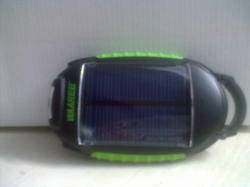 One Day sun charging for 2~5 Hrs flashlight or panel lighting time,support 1 Hour cell phone charging time. Features: This is power consuming product useful for killing flies in Hotel Area, Dairy area, Home etc. Solar Panels are configured with quality assured solar modules that have optimum efficiency to convert solar energy into electrical energy.These panels are easy to install and are utilized in different industrial applications.They are extremely light in weight. Huge Capacity of absorbing Light. Automatic (optional) dusk to dawn operation also available. Garden, hotels, parks, farms, hatcheries, fish farming, lawns. This Solar Powered insect killer works by attracting the insects and bugs with a bright LED Light. This light draws them into the high voltage grid, which kills them. 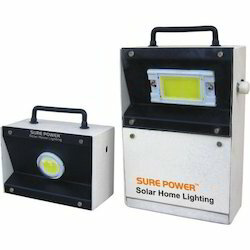 The LED light and the high voltage grid draws power from the internal rechargeable battery, which is charged by solar panel that have been built into the top of the device. 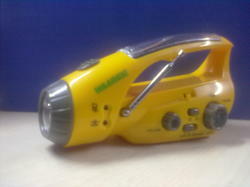 Because the device is solar powered it can be placed anywhere it is needed. Looking for Solar Equipment ?